If you’re a small-business owner looking to buy commercial vehicles to take your company to the next level, then you’re in luck. Whether you’re hoping to buy a commercial Ram truck or a Dodge SUV, you may be eligible to deduct the full or partial costs of qualifying vehicles when you apply for the Section 179 Tax Deduction. To learn more about how you can save with the Section 179 Tax Deduction, visit our Chrysler, Dodge, Jeep, FIAT and Ram dealership near Lewiston, ME, and speak with a member of our Ram finance team! What Is the Section 179 Tax Code? The was initially created by the IRS to encourage growth among small-to-medium businesses, though companies of all sizes can take advantage of this tax deduction and save. When you claim the Section 179 Tax Deduction, your business may be eligible to deduct the full costs of commercial Ram vehicles and other qualifying equipment, up to $1,000,000. The Section 179 Tax Deduction can be applied to new, used and Certified Pre-Owned vehicles — what’s important is that the vehicle is new to you. To claim this tax deduction for vehicles purchased within the current tax year, the title of the vehicle must be registered in your company’s name and it must be placed in service by December 31, 2018! What Vehicles Qualify for Section 179 Tax Deductions? Heavy construction equipment and traditional “over-the-road” tractor trailers. Vehicles that offer seating for nine or more passengers. Vehicles with a fully-enclosed driver’s compartment/cargo area without seating behind the driver’s seat or a body section extending 30 inches past the windshield, such as a classic cargo van. Heavy “non-SUV” vehicles that have a cargo area with a minimum length of six feet — many Ram trucks qualify under this! Taxis and other transportation vehicles. Select vehicles that have been modified for business purposes. Ready to buy a new Ram 1500 or pre-owned Dodge Durango to help your business thrive? Contact Central Maine Chrysler Dodge Jeep Ram FIAT to learn more about how your company can take advantage of the Section 179 Tax Deduction and save! Give your business the break it needs by employing the Section 179 Tax Deduction and you could end up saving thousands of dollars off the MSRP. Whether you’re in the market for a car, truck or SUV, our inventory is stocked full of incredible new and pre-owned vehicles for you to choose from. We can help you find the Ram 1500 your business needs, or get you a whole fleet of Jeep SUVs if that’s what you’re looking for. Stop by Central Maine Ram today and sit down with our financing team to discover whether you can employ the Section 179 Tax Deduction. We’ll see you soon! 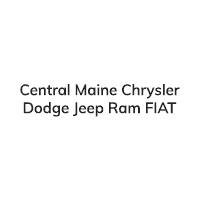 *Central Maine Chrysler Dodge Jeep Ram FIAT does not offer tax advice and urges buyers to consult a tax professional to ensure all proper requirements are met before purchasing.